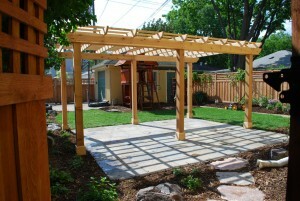 Just what is a pergola, anyway? Pergolas are outdoor features that have been used for centuries to provide shade from the sun and, often, grip for climbing vines. The origin of the word “pergola” is the Latin word pergula, which translates approximately to “projecting eave.” Today, pergolas are also frequently referred to as arbors, gazebos, trellises, and lattice structures. Though it’s common to use treated lumber in building a pergola, we greatly prefer TEMO pergolas because they are made of heavy-duty extruded aluminum that doesn’t crack, warp, rot, or fall prey to termite infestation. For more information, please contact U.S. Patio Systems and Home Remodeling, an authorized TEMO dealer serving St. Paul, MN, and the entire Twin Cities region. We also install sunrooms, patio covers, screen porches, and spa enclosures – all from TEMO as well.